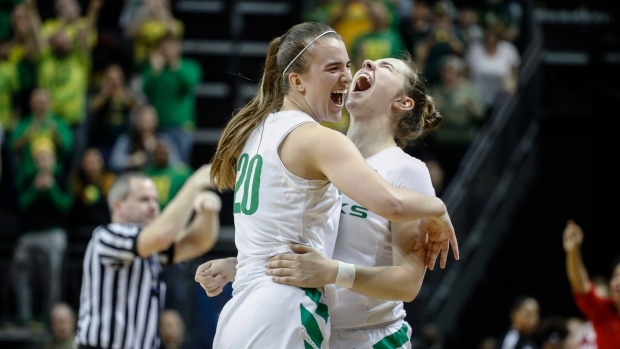 EUGENE, Ore. -- Sabrina Ionescu had 29 points, 12 assists and 10 rebounds for her 18th career triple double and second-seeded Oregon defeated No. 10 Indiana 91-68 on Sunday to advance to the Sweet 16 at the NCAA Tournament. Oregon: Oregon Governor Kate Brown was at the game. ... Oregon shot 59 per cent from the field in the first half.